Apple (Malus domestica)The Spanish brought the apple to South America in the 1500s, where it established well in Argentina. It is not certain when apples began propagating in the Valley, but likely about the same time, along with Christianity, which has its own myths about the hardy fruit of the apple, shared with many other religions. The apple blossoms bloom in the valley in August, which is midwinter in this hemisphere, although the temperatures never drop below freezing in the Valley, with the fruit maturing in December or January. These beautiful blossoms are commonly used to decorate apple pastries or punches. Broccoli (Brassica oleracea, Botrytis Group) The flowers of broccoli are pretty and zesty sweet. I often cut a flowering sprig and keep it in water on the kitchen window ledge so it’s available when I want it for salads or to decorate a soup. This 2000-year-old vegetable probably came to the Andes with the Europeans. It is a popular crop in the Valley. Carnation (Dianthus caryophyllus) Carnations are believed to have been in vogue in Greece at the time of Christ, and although they grow well in the Valley’s well-drained soil, they are still considered somewhat exotic. Their culinary use is popular in haute and nouvelle cuisine where their peppery taste jazzes up a salads or is used as a garnish. 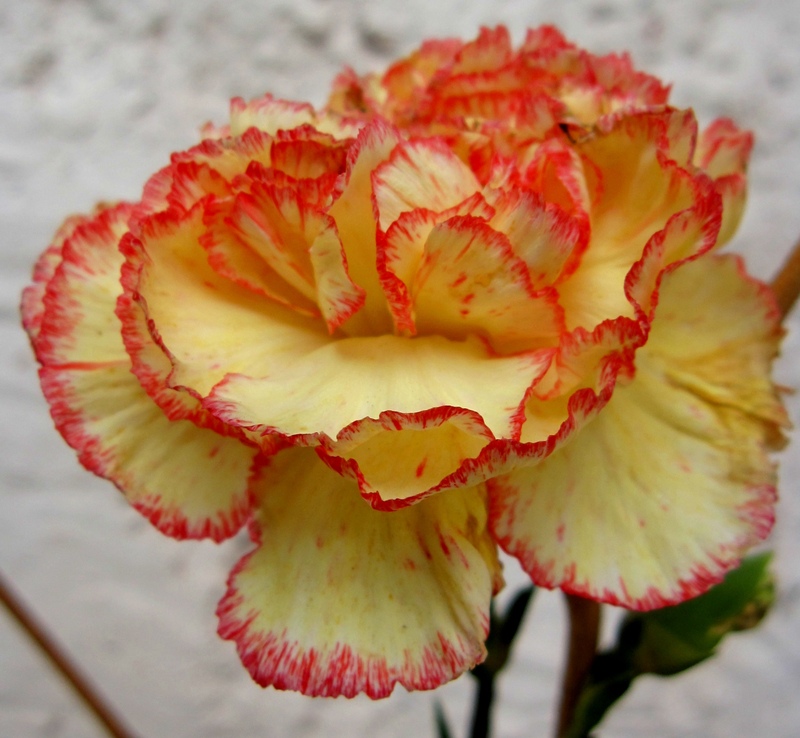 Carnations are also candied and used to decorate cakes. Cilantro (Coriandrum sativum) Competes with basil as my favorite fresh herb. All parts of the plant are edible and both the delicate white flowers and their predecessor seed heads (crunchy and delicious) add a special quality to any dish that calls for coriander. Flowers can dress up a coconut milk curry soup and the seeds and leaves and fern-like growth that doesn’t usually make it to the markets are a wonderful bonus. 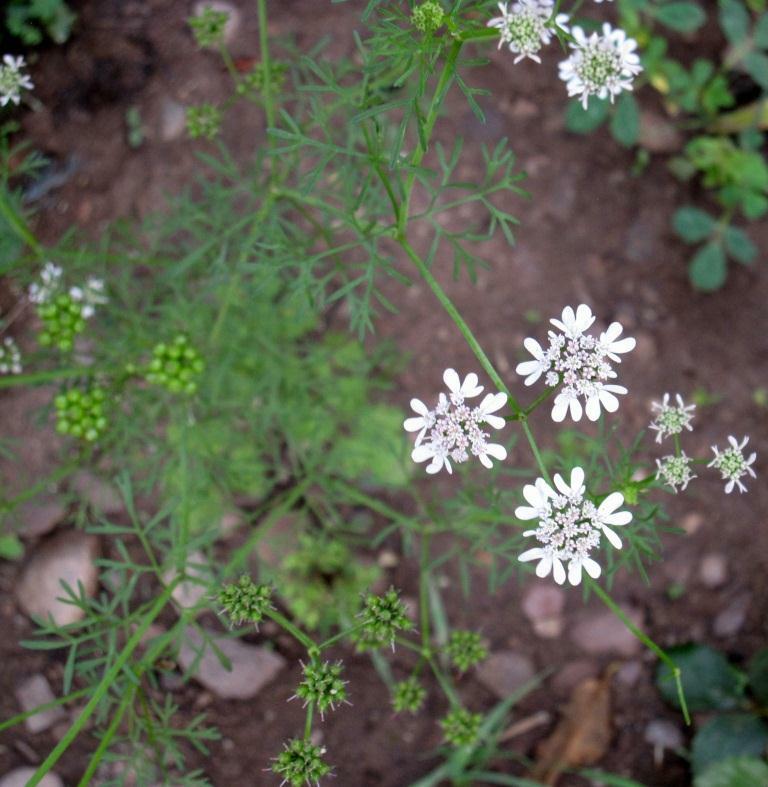 Here in the Sacred Valley my bed of cilantro planted two months ago is almost two feet tall and in full floral bloom. It is a common fresh market commodity, although its origins are believed to be in Israel and it is used extensively in Middle Eastern and Asian cuisine. Dahlia (Dahlia) I didn’t realize my chakra hosted dahlias until the rains brought this South American native flower into luscious bloom in early December. The bush pictured is now about two meters high and festooned with blooms. Both decorative petals and tubers are edible. Am working on describing the taste. All edible petals should be picked early in the blooming cycle. 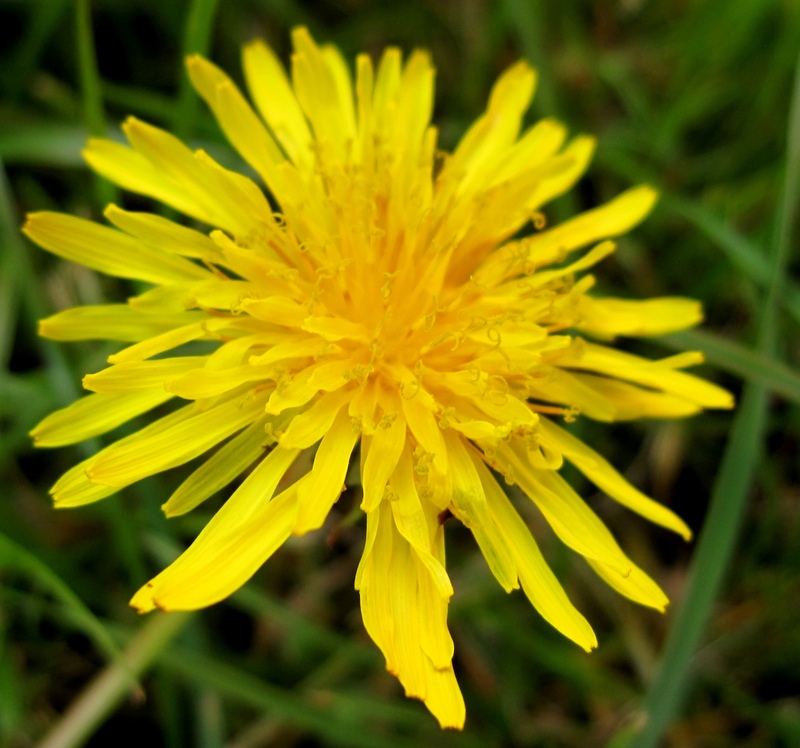 Dandelion (Taraxacum spp.) The Quechuas have a use for every plant and once I realized their medicinal and culinary properties (young dandelions petals are lovely in a rice dish) I stopped worrying about pulling this 30-million year-old weed (!) from of the lawn. Daylily (Hemerocallis spp.) NB: Need botanical confirmation that this is in fact an edible Daylily. Help welcome! Gracias. 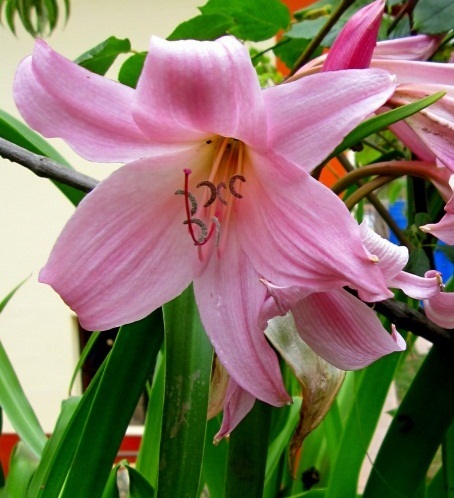 I have two large clusters of this prolific lily in the chakra, but as most lilies (including the Peruvian Lily, often mistaken for freesia, which my garden also grows in colorful clumps) are toxic, I have not attempted to include it in our diet. Please post if you know! The Daylily originated in Eurasia and is commonly used in a variety of Chinese cuisine. Is this an edible Daylily? 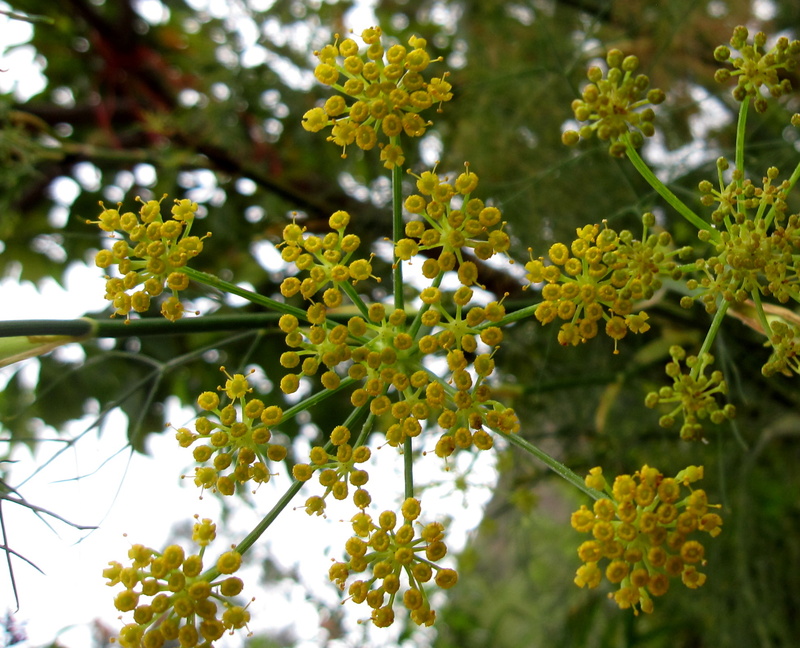 Fennel (Foeniculum vulgare) Although it is indigenous to the Mediterranean coast, fennel it is common in Quechua medicinal lore, which traditionally mix herbs into a maté (hot tea) or blend into an elixir. Locals use the ferny leaves as a breath freshener. The flower can be added to any dish that requires a licorice accent. Personally, I wish these were their lookalike, dill, as I’m not a fan of anise-tasting anything (including ouzo and sambuca). Fuchsia (many varieties including magellanica, boliviana, and the miniature Encliandra) The photo depicts one of many exquisite fuchsias in my garden, which have become my primary obsession. They resemble orchids and there are over 110 varieties, many of which originated in South America. 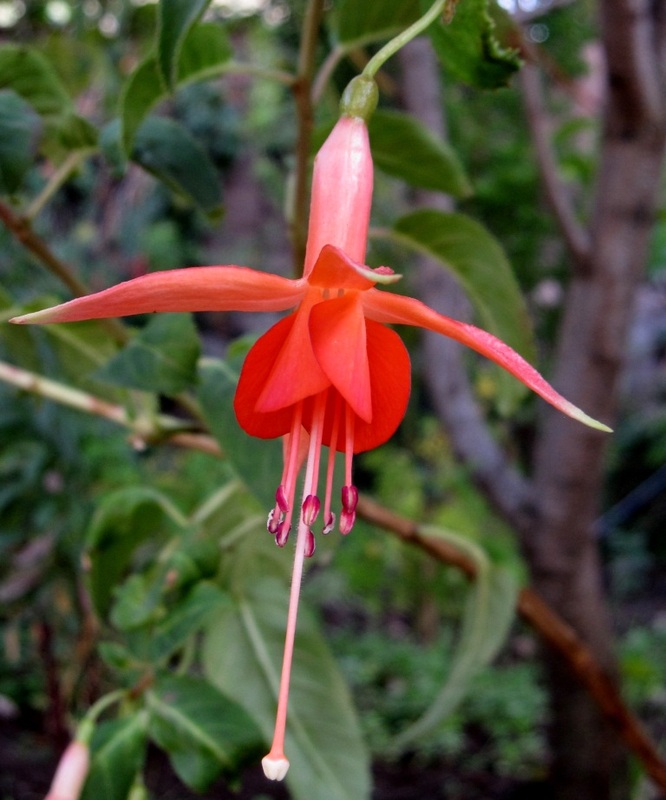 As this site expands, I will include a section on fuchsias, which are as delicious as they are gorgeous. Tangy and crisp, they can be used for dips, in salads, or a single bloom can turn a simple plate into the epitome of elegance. They are hardy and grow easily in this altitude and climate. 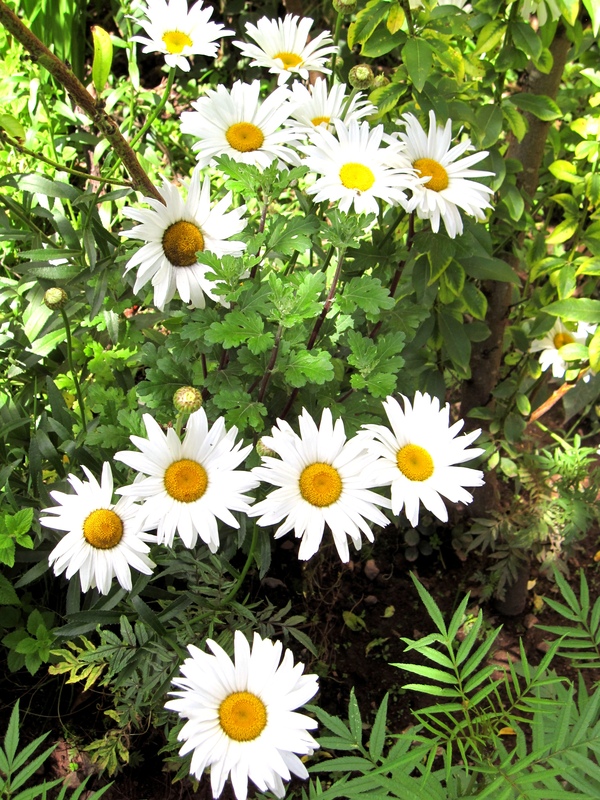 Once they are established they bloom prolifically throughout the year, provided they have enough water, a daily regimen of deadheading, and a mix of sun and shade. 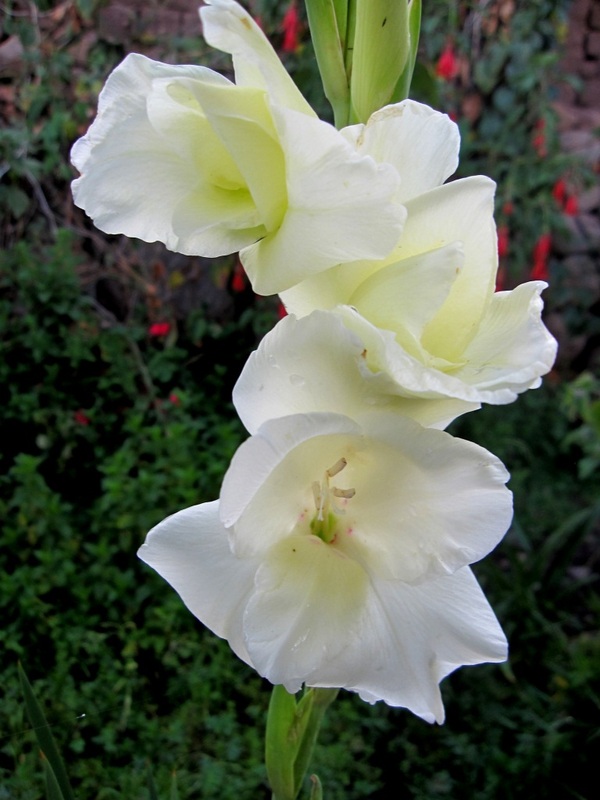 Gladiolus (Gladiolus communis) I thought they would never bloom, but with the coming of the rains they have adequate water and continue to surprise. 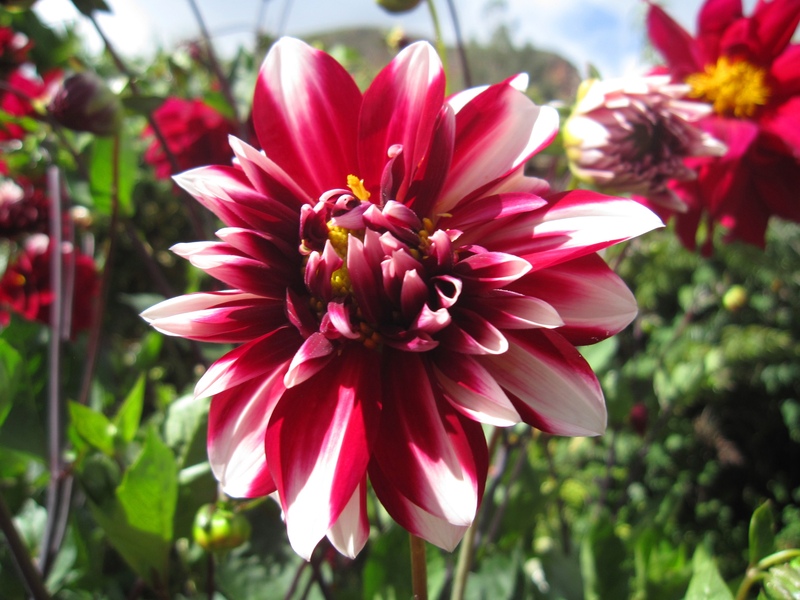 Although they are native to South Africa, they are a popular crop here in the Andes and are sold in the fresh markets as decorative cut flowers both for the table and the cemetery. 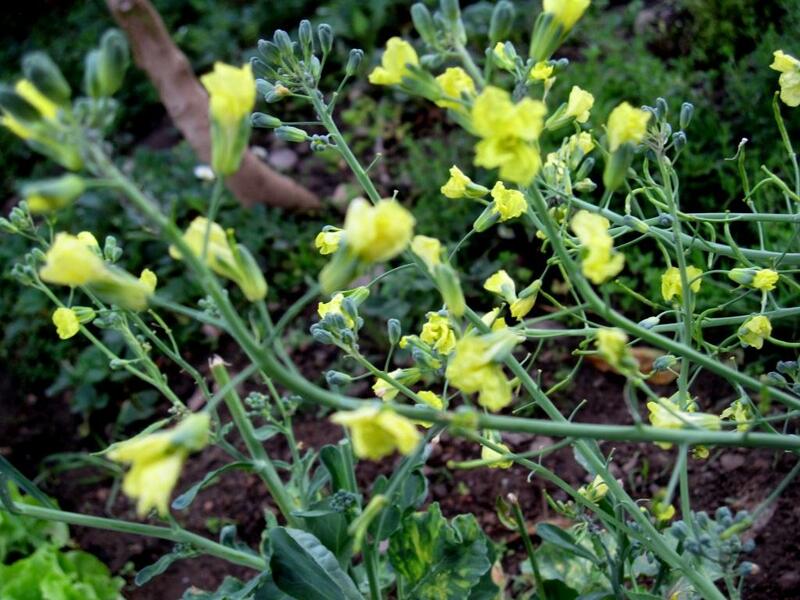 The blooms are mild tasting, somewhat reminiscent of lettuce, but with a fabulous texture. When the antlers are removed (as one must do with all flowers when prepping to eat them) they are yummy when stuffed with a cream cheese with herbs and onions. There may be subtle differences in taste depending on the color. Hibiscus (Hibiscus rosa-sinensis) This hardy attractive bush is well-known in tropical climates, but flourishes here in the Andes as well. Generally known as an ornamental, the petals are also used in mates. They are more palatable cooked or boiled, as they taste slightly acidic when eaten raw. 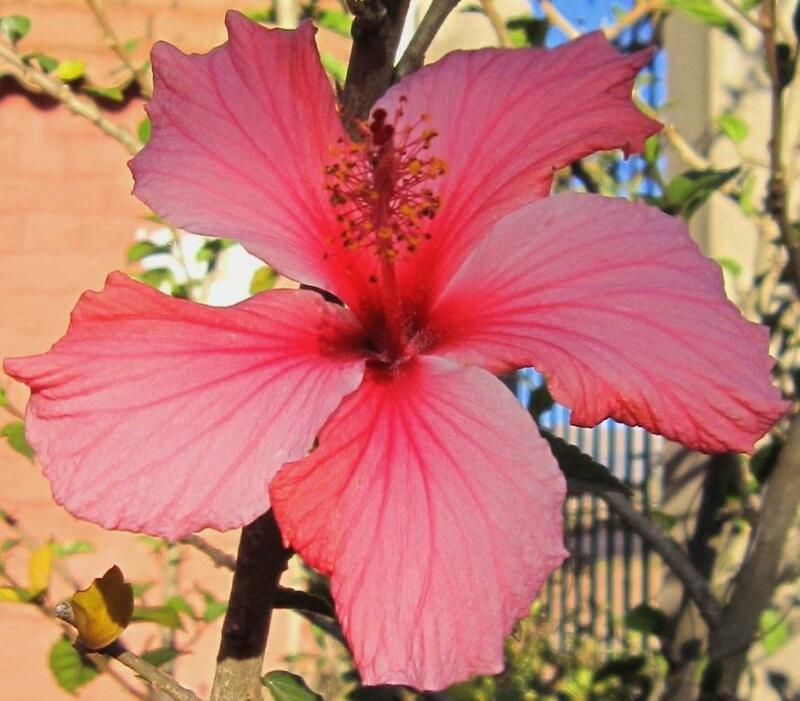 I am currently growing three hibiscus trees, including a peach colored double and a recently planted yellow double. At least some of the varieties found locally probably originate here. 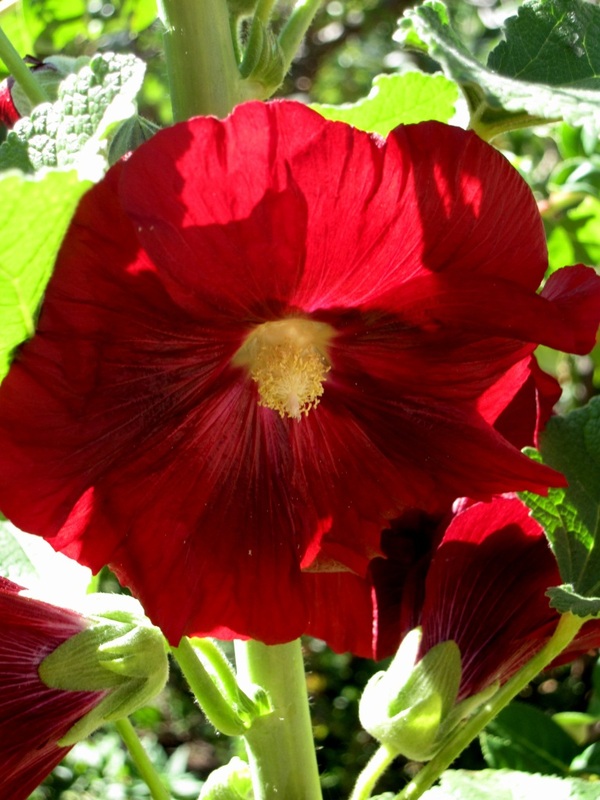 Hollyhock (Alcea rosea) In the high Andes, these towering spires literally grow like weeds and grace the garden with bursts of color. The petals, butternut lettuce-like in taste and texture, make a cheerful addition to salads (must be picked shortly after blooming). At the moment my garden features only the dark crimson, and I’m curious whether the other colors available in the Valley (white and pink) will taste different. 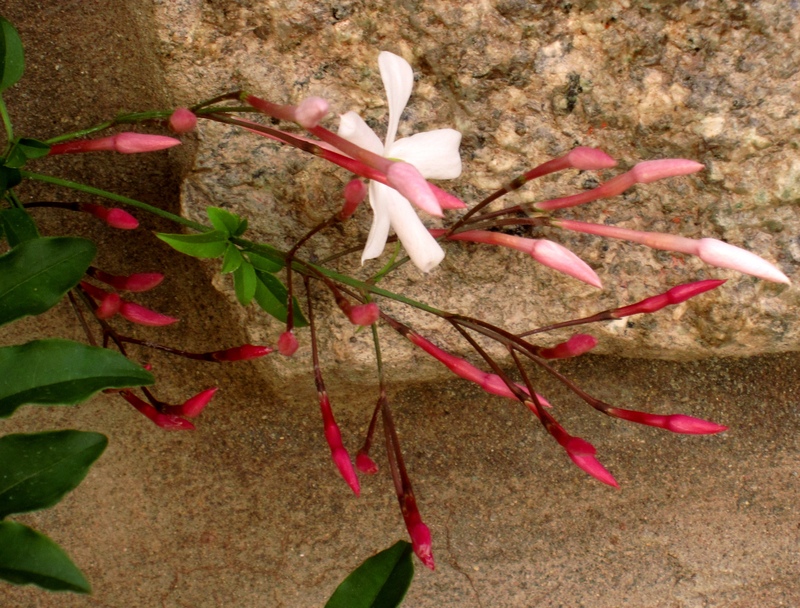 The Peruvian cultivar of this ancient plant likely originates in Europe. 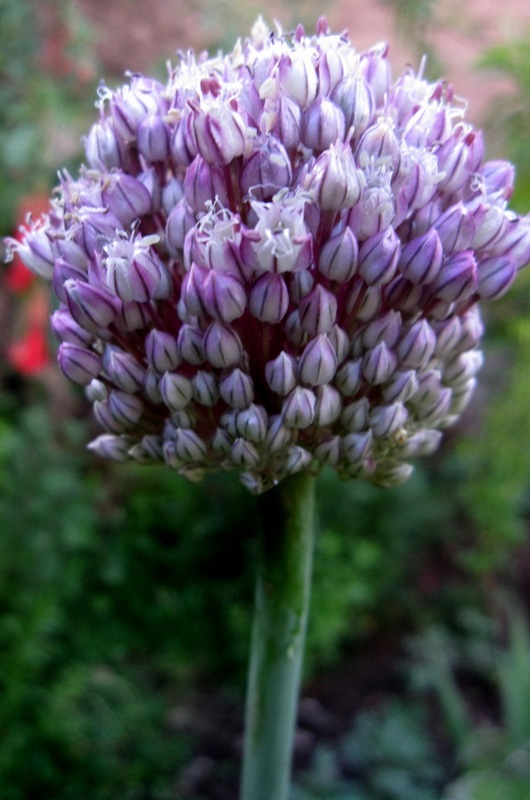 Leek (Allium ampeloprasum var. porrum) I love these flowers and they are a fabulous addition to any salad or to top a soup. They grow abundantly in the Valley, but the local farmers take the stalks and bulbs to market and use the heads for seed. This distinctive vegetable dates back to ancient Egypt. 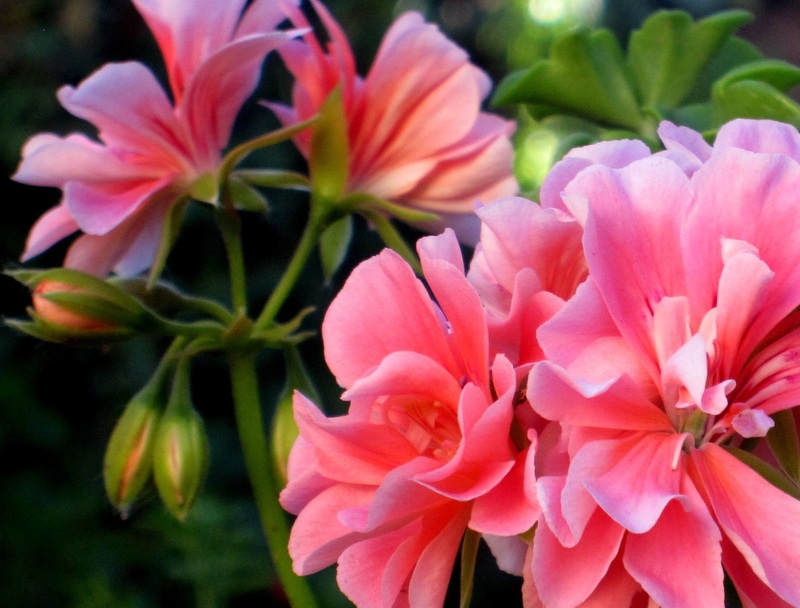 Geranium (Pelargonium – many varieties) These prolific plants bloom generously year-round and seem to enjoy the Andean climate immensely. 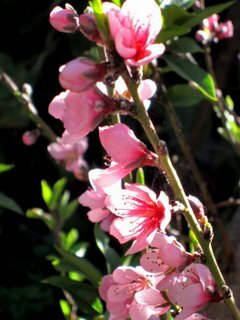 They originate in southern Africa, but many varieties are available in the Valley and are uncannily easy to root –just stick a broken branch in the soil in the shade and it will begin blooming in a couple of weeks. I have not ventured into the culinary attributes of the blossoms as I need a botanist to confirm that mine are of the edible variety. I have several cultivars flourishing and I’m hoping at least two or three will prove to be edible. 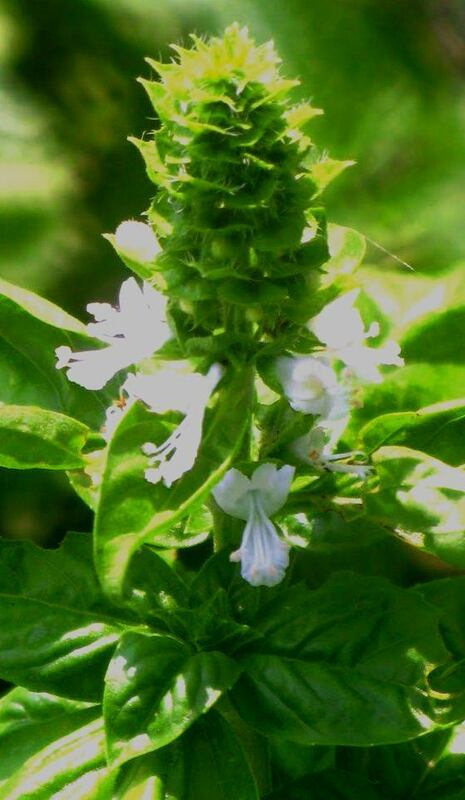 Mint/Yerba Buena (Mentha spp.) This invasive species needs constant culling in the chakra as it chokes out less aggressive plants, and is a favorite in all Peruvian kitchens. I’m not a fan of mint in general, except as a garnish, although I am curious as to how the flowers taste, if they ever bloom. Apparently the term ‘yerba buena’ (good herb) is used in Latin America to mean whatever variety of local mint is common. There are two types in the chakra and neither is the yerba buenathat is the spitting image of basil, found in the fresh markets. pic to come! not in bloom. 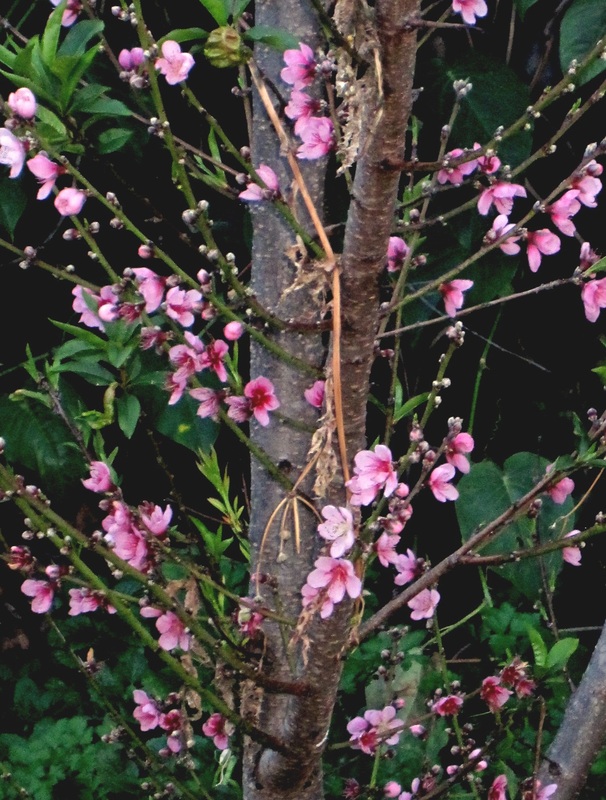 Peach (Prunus persica) Like apple blossoms and other fruit, these are more often used in sweet dishes, although they can as easily adorn a glass of juice to add a little charm and class. Our yellow peaches are finished for the season, and they were huge and sweet. White peaches are now competing with the birds to reach maturity. 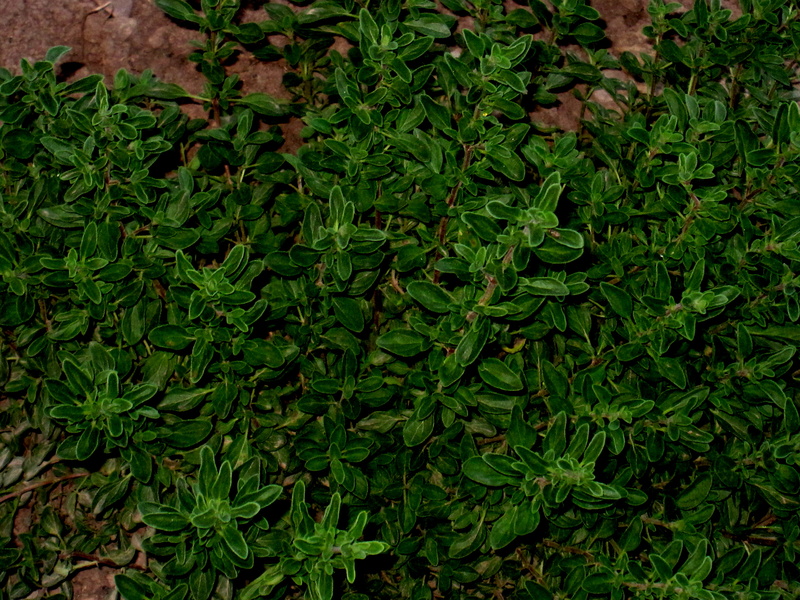 Oregano (Origanum spp.) The little piece of land they refer to as a chakra (Quechua) behind our house has literally dozens of oregano plants that seem to produce all year round. More research is required as to the variety of this essential bushy herb that hails from Central Asia but grows so easily in the Sacred Valley. Leaves are small and round and so far it seems they flower only occasionally. blossoms to come ! 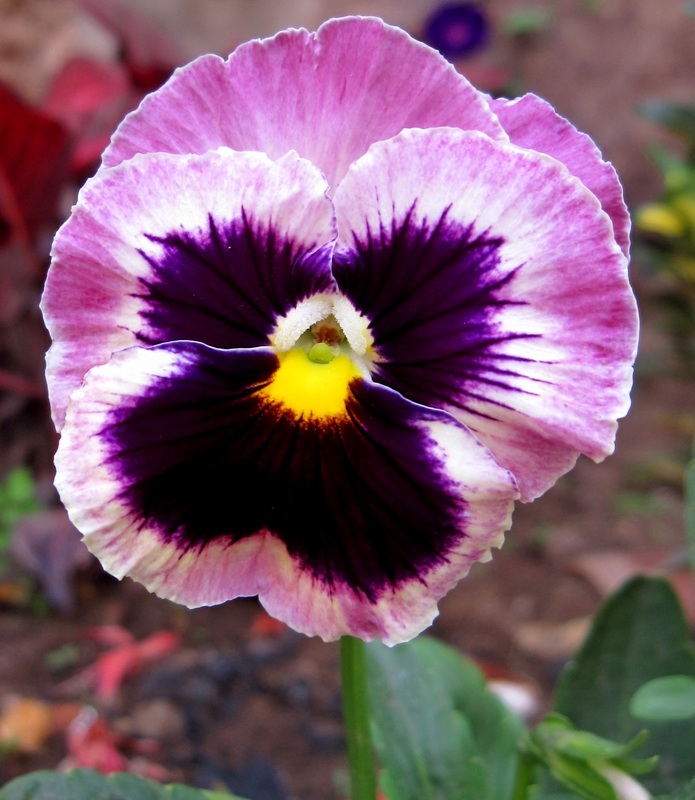 Pansy (Viola wittrockiana) Originally from England (early 1800s), the pansy now has over 400 varieties, a few dozen of which are now common in Peru. They are wonderful in salads, with a mild sweet to mild tart taste. Petals are milder than the whole flower. Miniature varieties can be frozen in ice cubes and served in drinks. Plum/ ciruela (Prunus prunus) Pretty, sweet blossoms can be used as all fruit flowers – in drinks, to decorate cakes or pastries, or candied. The Andean variety was likely introduced by the Spanish, but this fruit dates back to 479 BC when Confucius wrote about its sweetness. Plums are second to apples as the most cultivated fruit in the world. 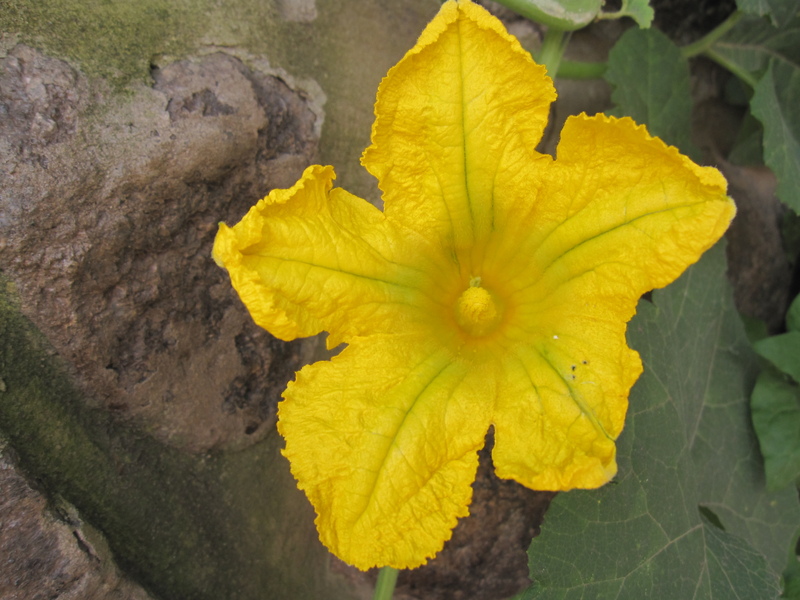 Pumpkin (Cucurbita Cucurbita pepo) This creeping, climbing calabaza vine has emerged throughout the chakra since the rains began in late November. The vines grow nearly six inches every day. Blossoms can be stuffed with cheese and fried or baked. Delicious. The curcubita comes from North America. I do not know how long Peruvians have been cultivating this gourd, but they are fond of it. Rose (Rosa spp.) A rose by any other name would taste as sweet. Must be picked in early bud and the white thicker part that joins them needs to be removed before serving in salads. Uncertain as to the origins of the roses growing in the Andean highlands. 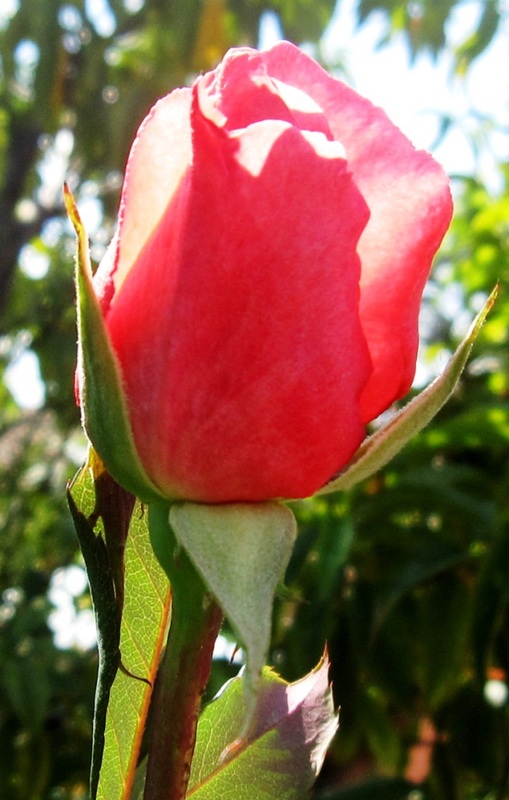 Most rose species come from Asia, although there are some hailing from North America, Africa, and Europe, and I’m guessing those in the Valley come from Europe. I have both climbing and long-stemmed varieties in the chakra. The climbers have been infected with a fungus and there is no known organic way to heal them, save aggressive pruning. This event heralds the challenges that face the project as the growers will be tempted to treat diseases that affect their income. 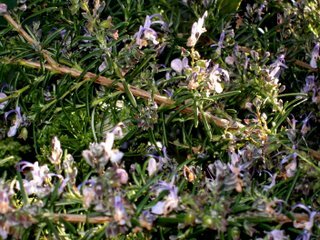 Rosemary (Rosmarinus ­officinalis) I know these are edible but they take a great deal of work to harvest as the flowers are miniscule. Native to the Mediterranean they grow extremely well in the Andes. Sage (Salvia officinalis) My other favorite Sacred Valley blossom. This purple variety is a hummingbird favorite and with appropriate pruning in spring it blooms year-round. The blossoms are sweet and beautiful on any plate. Also growing in the chakra are two hybrids – red and mauve, both of which flourish here and taste similar to the purple wonder. 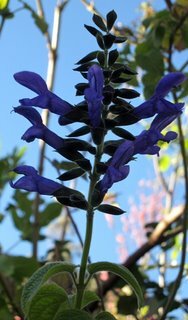 There are an estimated 500 species of salvia in Central and South America. 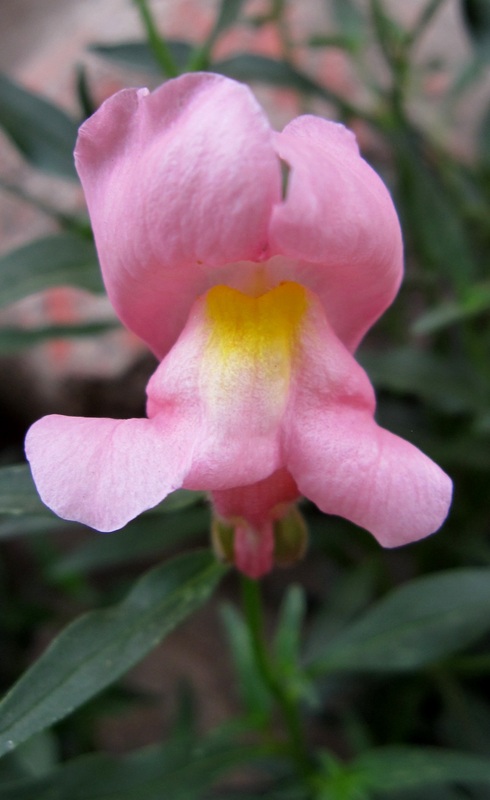 Snapdragon (Antirrhinum) Several varieties of these eye pleasers are grown in Andean gardens, where they require little care, self-propagate, and bloom constantly. 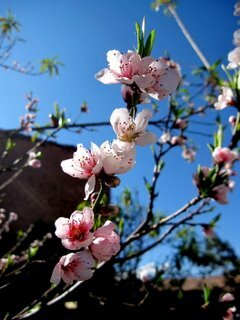 The blossoms are pretty and are reasonably bland in taste, making them good for salads or garnishes to side dishes. 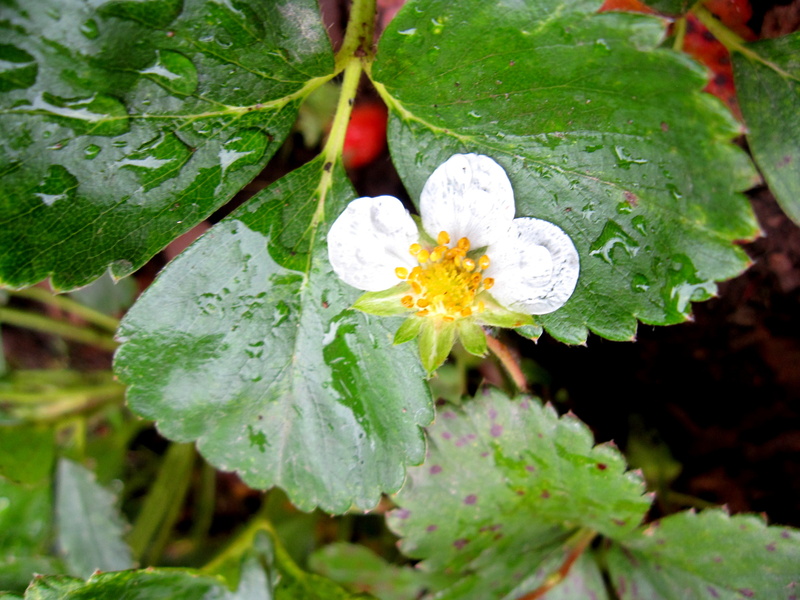 Strawberry (Fragaria chiloensis) Sweet. but if you pick them, you lose your berries. The strawberry was bred in France about 1740 using a cross between berry varieties from North America, Chile and Argentina. The fruit grows reasonably well elsewhere in Peru, but the Andean climate –especially the high altitude sun of summer combined with organic growing conditions– keeps the berries small. Zucchini, also known as courgette in Europe (Curcubita pepo) originates in Mesoamerica, an estimated 10,000+ years ago. 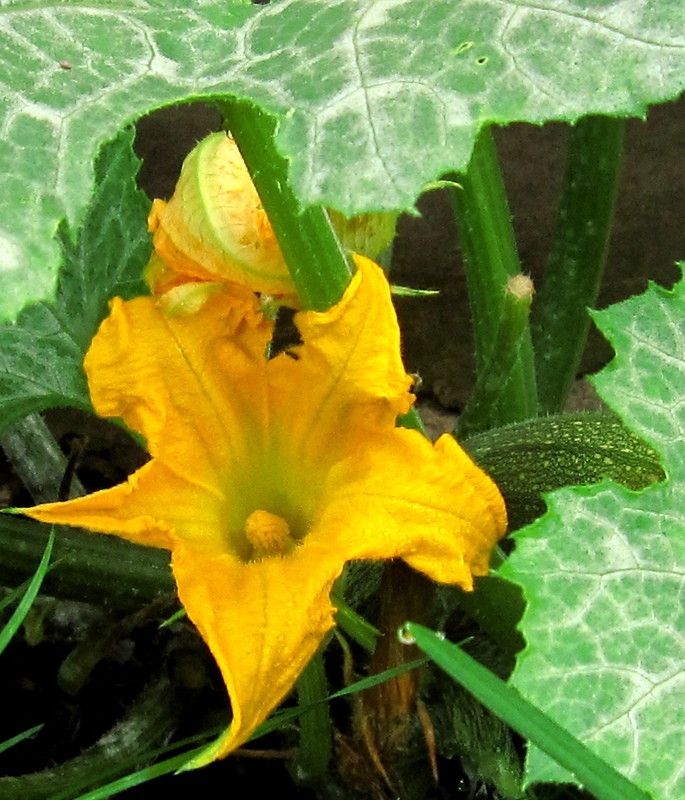 The flower, like the pumpkin and other summer squash, is used to as a shell for stuffing dips, or roasted with cheese. You can also use the bright yellow flowers to top a salad or rice dish for some cheerful color. They literally grow wild here in the Sacred Valley. This one popped up in the corner of my garden (as did the prolific pumpkin vines) and I watched for months until realizing what it was. As with any flower, if you harvest the blossom you lose the fruit.